1.Mixed-cut:metal cut for Stainless steel, carbon steel etc.and non-metal cut for acrylic sheet MDF board etc. 2.With precision belt or ball screw transmission, it can meet the high precision processing,stable dynamic performance, also can work for long. 3.High end cutting head with following up system,it can adapt to flat or curved surface. 4.The machine uses the constant light,of the whole area that you can work in the dark. 5. Sample structure, easy operation, stable laser device and low maintenance cost. Support AutoCAD, CorelDraw, Photoshop output directly. Applied in printing and packaging industry, gifts and crafts,mold industry, stone, advertising, leather and clothing industry,metal processing, electronics, electrical appliances , machinery, precision components, metallurgical equipment, elevator, studio industry, gifts tool processing, adornment and various manufacturing processing industries. Mainly used for cutting Stainless steel, carbon steel, acrylic, glass bottles, bamboo products, paper, leather, shell, ABS board, and so on. Q1:I knew nothing about this machine,what kind of machine I should choose? Very easy to choose, just tell us : 1. the work you want to do? 2. the maximum size of your materiaols, then we give you perfect solutions and suggestions. Q2:When I got this machine,but I did not know how to use it,What should I do? We will send video and english version manual with the machine,If you still have some doubts,we can talk by telephone or skype. Or even send our engineers oversea to help you. Q3:If some problems happened to this machine during warranty period,what should I do? 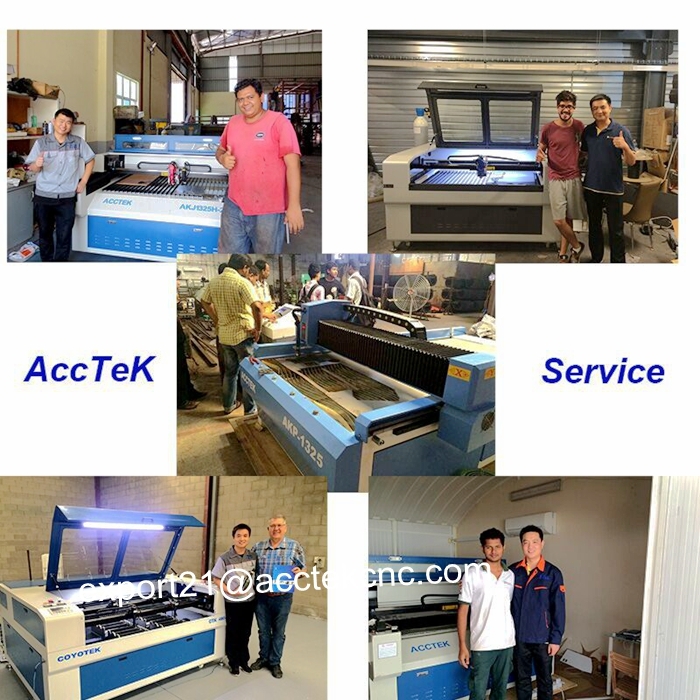 We will supply free parts in machine warranty period if machine have some problem, While we also supply free after-service,so any doubts, just let us know, we will give you solutions. MOQ for our products is 1 set machine, we could send it to the nearest port to you. BEFORE THE PAYMENT PLEASE CONTACT ME TO CONFIRM THE MAIN CONFIGURATIONS.